We at Cloud Cap Technology are excited to share the below DARPA article discussing the Towed Airborne Lift of Naval Systems (TALONS) demonstration. The TASE400 LRS was installed on the TALON to improve shipboard communication and deteck, track and classify contacts of interest. 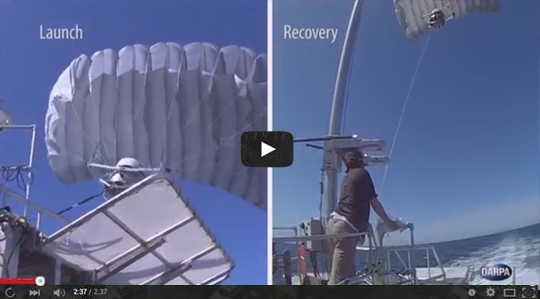 DARPA’s Towed Airborne Lift of Naval Systems (TALONS) research effort recently demonstrated its prototype of a low-cost, elevated sensor mast aboard a commissioned U.S. Navy vessel for the first time. 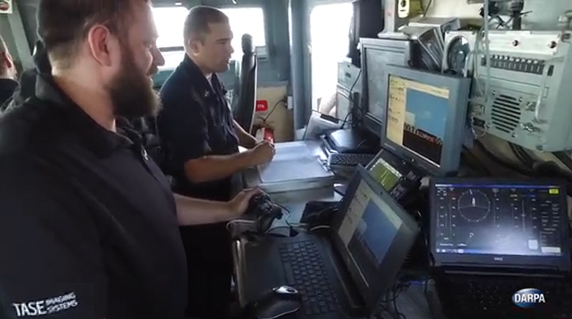 The crew of USS Zephyr, a 174-foot (53-meter) Cyclone-class patrol coastal ship, evaluated the technology demonstration system over three days near Naval Station Mayport, Florida. Towed behind boats or ships, TALONS could persistently suspend intelligence, surveillance, reconnaissance (ISR) instruments and communications payloads of up to 150 pounds at altitudes between 500 and 1,500 feet above sea level—many times higher than current ships’ masts—greatly extending the equipment’s range and effectiveness. TALONS is part of DARPA’s Phase 1 research for Tern, a joint program between DARPA and the U.S. Navy’s Office of Naval Research (ONR).